Hi all! It's guest designer Alice. I made a card using the adorable Luka with Truck. He is such a cute boy! 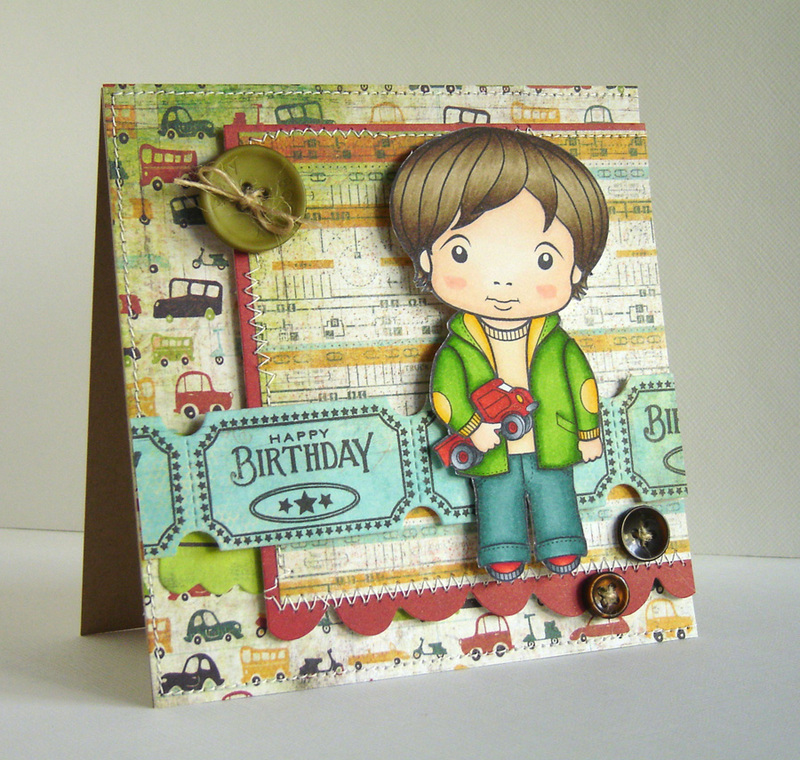 I paired him with the lovely Wander collection from BasicGrey. 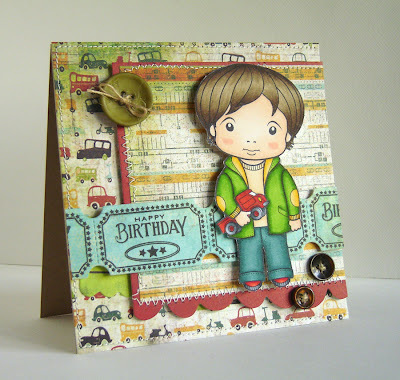 The ticket border die and sentiment stamp are from Papertrey Ink. That's all from me. Thanks for stopping by! Super sweet Alice...and I love your stitching on there!! Super cool card, I LOVE LOVE the ticket border!